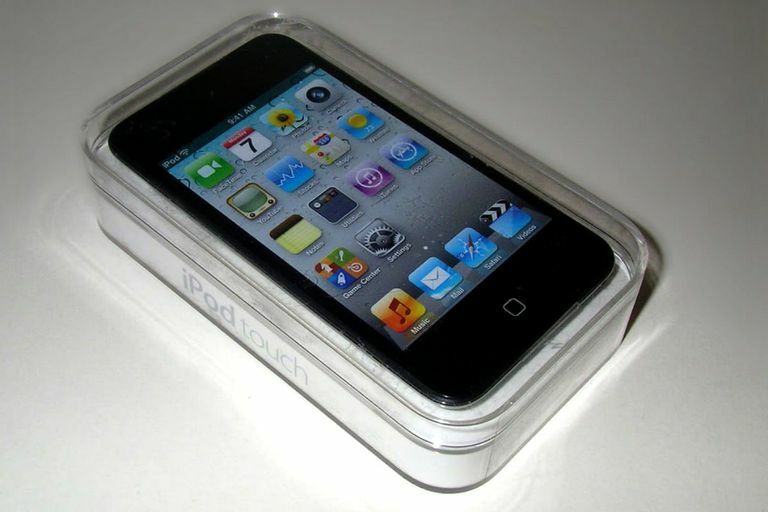 Giving an iPod as a gift is great, but it's an even better gift when you're giving an iPod loaded with music on it. There are usually two situations in which you give a preloaded iPod: you’re giving a new iPod as a gift or in a contest, but want to load it with music you think the recipient will like, or you’re handing down an old iPod to a friend or family member now that you’ve gotten a new one. Apple makes giving a preloaded iPod to another person difficult (with some good reasons, as we’ll see below). Apple designed iPods to sync to only one computer, and when they’re synced with a different one, the music on them is deleted and replaced by music from the second computer. Despite that, there are ways to give the gift of a fully stocked iPod. This article will show you how. While this article is specifically about giving a pre-loaded iPod, the concepts and instructions also apply to iPhones and iPads. Because those devices support many more kinds of media, you may need different steps to gift and transfer non-music content. A computer with iTunes on it. Get the iPod you want to give away. Set up the iPod on your computer. The process for doing this is the same whether you're planning to keep the iPod for yourself or give it away. Sync all the music you want to give away from your computer to the iPod. Of course, this means that you have to have the music you want to give away on your computer in the first place. With that done, you've got an iPod pre-loaded with music that's ready to give away. Things get a little more complex for the recipient of the iPod. Avoid loading music from Apple Music onto an iPod you're giving away. Apple Music requires a subscription to work and unless the recipient has a subscription, too, those songs won't play. If you've gotten a pre-loaded iPod, you have a choice to make: use the iPod as is and never change the music on it, or update it to keep the music that came with the iPod and add your own music to it, too. First, you’ll need a program that can perform an iPod-to-computer transfer. There are many options in this area — from free programs to commercial ones. Read our reviews, evaluate your options, and make a selection. Free programs are appealing, but they have restrictions like limiting the number of songs that can be transferred at one time, that will make them more work than they’re worth. Make sure you choose an iPod-to-computer transfer program that will move all album art, playlists, and other related information. Once you’ve selected the software, install it on your computer. Connect the iPod to your computer and launch the iPod-to-computer transfer program. Follow the onscreen instructions for using the software to move the music pre-loaded on the iPod to your computer’s iTunes library. The music needs to be there so that you don't lose it. Restore the iPod to its factory settings. This will delete all of the contents of the iPod, but if you've used the transfer program properly, they'll be saved on the computer. Follow the onscreen instructions to set up the iPod as if it were new. Choose to sync whatever music you want to your new iPod. This can include the music that was pre-loaded on the iPod and music you already have in your iTunes library. One important note about this gift: it’s not necessarily ethical or legal, depending on your take on some key issues and the law where you live. Apple doesn’t allow you to sync your music from an iPod to a computer to prevent exactly this kind of music sharing. Music companies say that this is piracy. Copyright and consumer advocates argue that this kind of sharing is within user’s rights since it’s not so different from making a mix CD (or tape, if you go back that far). Whether it's legal or not, you should also consider the ethical implications. Musicians make their livings, in part, from the sales of their songs and CDs. By giving away their music, you may be preventing a sale — either of a CD or a download from iTunes — that the recipient otherwise would have made, thus earning the artist some money. A gift of an iPod loaded with music may seem great, but you’ll need to decide whether it’s right to potentially deprive the artists of money for their work if you give it.